Africa Fashion Guide has a pool of experienced and qualified consultants who for a reasonable fee can help with your business, design and sourcing needs. We also can provide you access to our database and sourcing directory. Kibamba is a young entrepreneur from Togo who has been living in Canada for the past 10 years. She is passionate about the positive power of Ethical Fashion and an advocate of women’s empowerment in business. She has worked for the past 3 years in non profit sector and was involved with international projects in Africa. She has experienced first hand the impacts of Fair Trade practices on communities in developing countries and is now committed to support businesses in achieving sustainability by helping them make the best considered decisions. Kibamba supports fair and ethical fashion start-ups businesses by providing professional services in Business Analysis, Market Research, Product Strategy and Communication. She enjoys working with various type of businesses whether non profit or for profit, very small or medium. 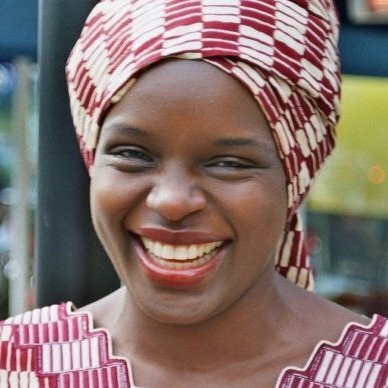 Ida is a Social Entrepreneur and a Development Consultant and is the founder of Ethnic Supplies Ltd, an online Social enterprise that enables East African women involved in handicrafts and textile production access western markets with their wares. She holds a BA hons in Housing Management and Development from Westminster University London and is the founder and Chairperson of a Ugandan community development charity Let Them Help Themselves Out of Poverty. Ida has a keen interest in business as a tool for fighting poverty and has served on several international panels as a speaker on challenges that face African women both at home and in the diaspora, Inclusive Business, Social Enterprise. and Sustainable Development. These events have included the African Diaspora conference in Tripoli, and the Home is best Summit in Uganda, Villages in Action conference in Masindi Uganda, as well as a guest appearance on VOX Africa’s SHOOT THE MESSENGER a current affair TV programme. Ida is a keen blogger , as well as her own blog Ethnic Supplies, she is the curator of Africa On The Blog. Ida provides Project Management and Consulting services to companies wishing to source products from East Africa in a more ethical way.